Aston Martin DB2. 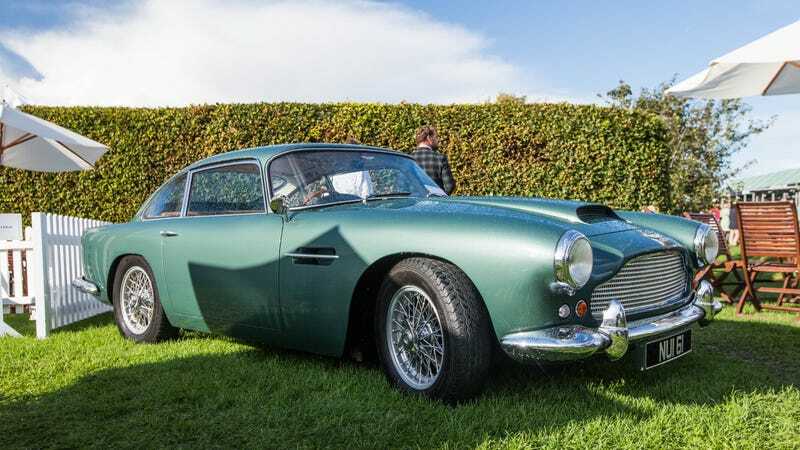 Aston Martin DB4. Aston Martin DB5, 6, 9, S, 10, 11. You get the idea. So, what does “DB” stand for? Dead Bird? Doobie Brothers? Database? DeciBel? Dragon Ball?? It turns out “DB” was actually a man’s name (super uncommon in this industry, I know). It stands for David Brown, a machine manufacturer and driver, according to our friends at Motor1 UK. Brown bought Aston Martin in the 1940s and proceeded to slap his initials on the cars. Over the years, the DB cars have spanned racers and GT machines. The latest to wear the moniker is the painfully beautiful Aston Martin DB11. How does it stack up against its predecessors? Watch Motor1 find out.